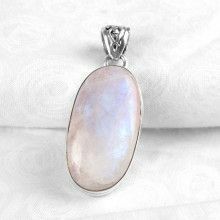 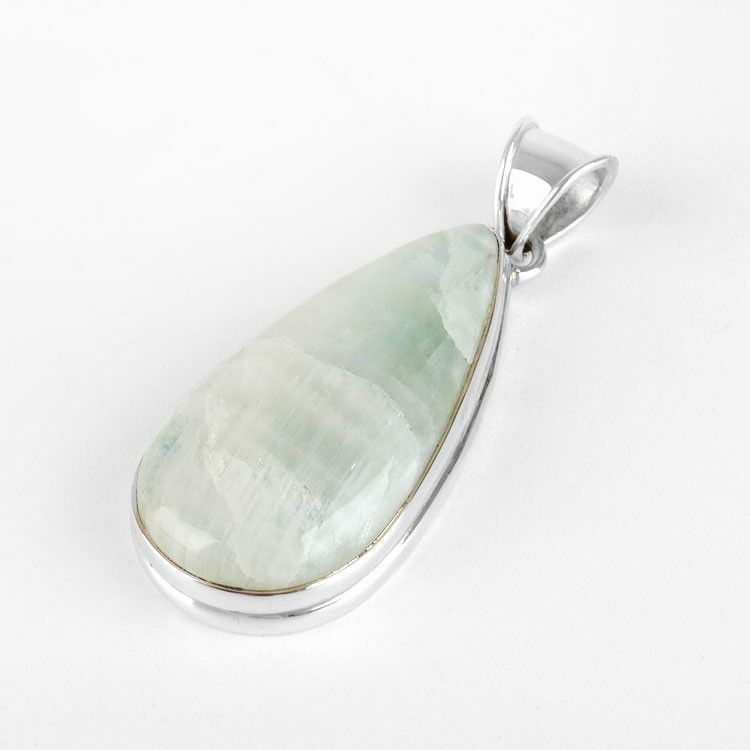 This teardrop shaped moonstone pendant is a classic beauty. 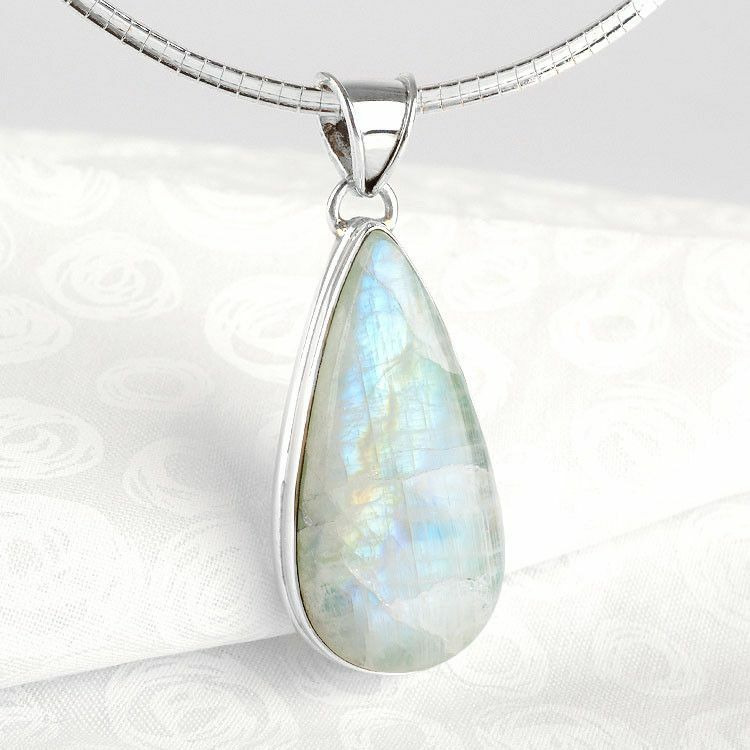 The moonstone's iridescence is seen at varying angles. 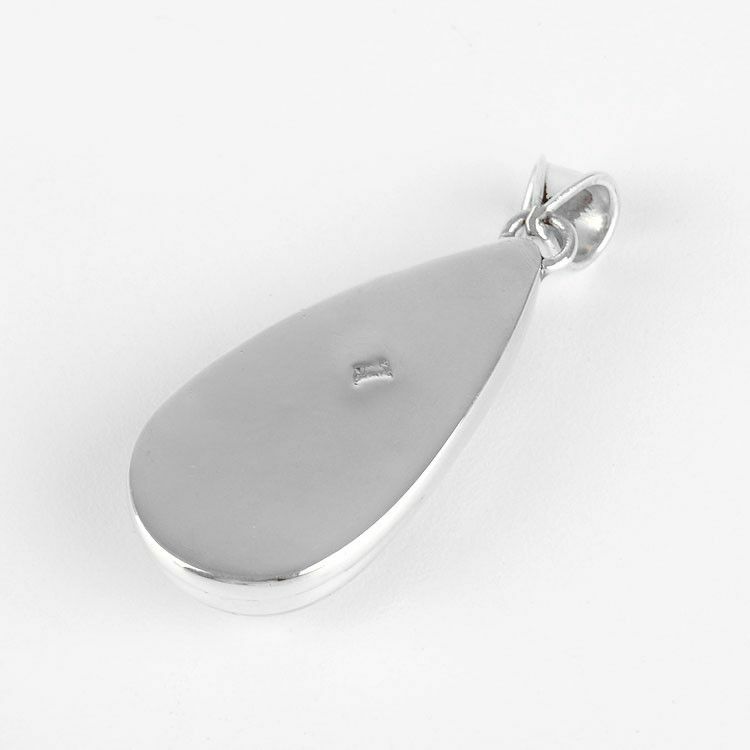 Sterling .925 silver surrounds the highly polished, 100% authentic gemstone, and a simple enlarged bail completes the 2" long pendant. 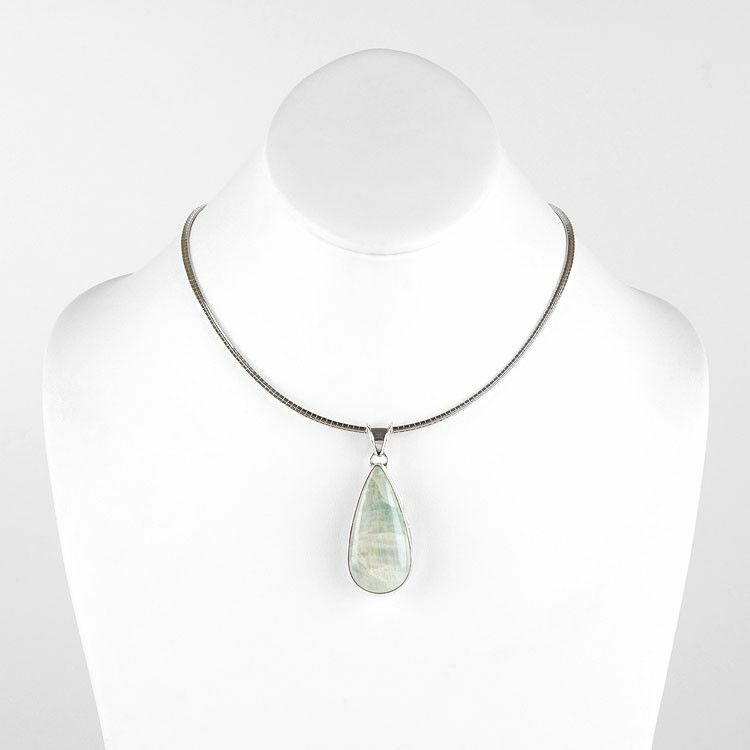 Looks beautiful with a variety of chains; pictured here with our 16" Omega Sterling Silver 2.5mm wide Chain.